With our reverse osmosis water filters you can transform your home’s ordinary water into better quality and fresher tasting drinking water every time you turn on the tap. We install aquamaster water products to ensure a high quality, efficient, and long lasting solution. Reverse osmosis is a water treatment process that removes contaminants, odours, and impurities by using pressure to push the water molecules through a thin semipermeable membrane. 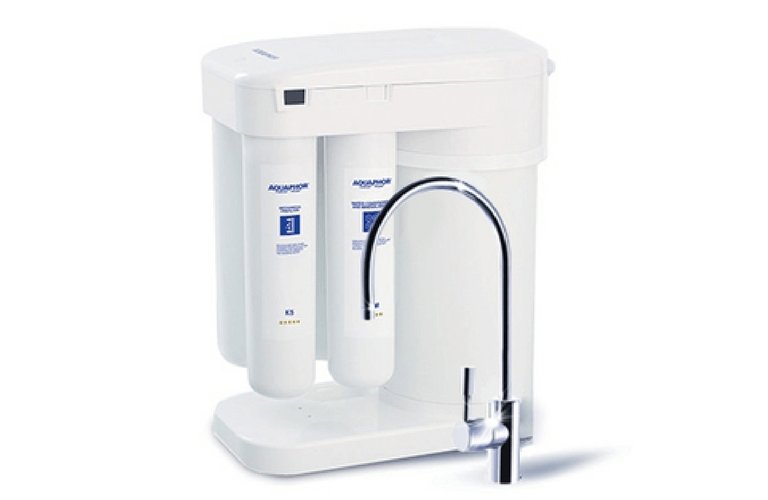 The impurities are filtered out or flushed away leaving you with clean and tasty drinking water. A reverse osmosis filtration system can be installed under your sink providing filtered water to your tap, fridge, and even your ice machine. It can also be tied in to your main water line delivering filtered drinking water to your entire home. Is Reverse Osmosis Water Safe To Drink? Yes, the reverse osmosis system excels at removing impurities like nitrates, pesticides, fluoride, lead, and chlorine from your water making it safer to drink. The process does also remove some of the minerals like calcium and magnesium but mineral-free purified water is not harmful and the majority of our mineral intake comes from our food. If you have questions about reverse osmosis water filtration and if it’s the right fit for your home, our experts will be happy to help you!